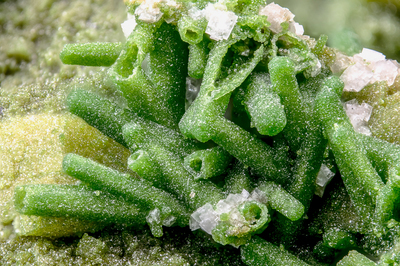 Small crystals of green bayldonite total pseudomorphism of mimetite crystals, from which they take the prismatic shape. Note the central crystal showing its interior which is also constituted by bayldonite, with mimetite totally dissolved. Collection and photo of Gianfranco Ciccolini.